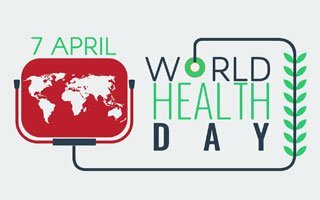 We are far into the New Year, and although many resolutions may have already fallen-short, World Health Day celebrated on April 7th was a gentle reminder some goals shouldn’t just be an annual “resolution”. Alpine Credits celebrated World Health Day in our office by dedicating the day to one key driver of health: personal wellbeing. As we put our clients, community, and partners first alongside our employees, we take this opportunity to share with you the education provided in our office on investing in your personal wellbeing: including improving your health, home, and finances. According to the World Health Organization (WHO): “Mental health is an integral part of health; indeed, there is no health without mental health.” Many things affect our personal well-being; however, there are four adjustments to your daily life that can substantially increase your well-being and happiness: adopting a healthy diet, a few hours a week of regular exercise, getting more sleep and managing stress. Try a Mediterranean diet. Two studies reported by Medical News Today (MNT) revealed that the Mediterranean diet is not only good for physical health, but it is also beneficial for mental well-being. Studies have found that those who followed a Mediterranean diet not only lived longer, but they also had better cognitive function and mental health. Don’t want to adopt a full new menu? Simply eat more fruits and vegetables. A study completed by the University of Warwick Medical School found that of 14,000 adults, 35.5% of participants who ate five or more portions of fruits and vegetables a day had good mental well-being, compared with 6.8% of participants who ate less than one portion a day. We’ve heard it so many times before that it is practically common knowledge that a proper night’s rest is a pillar of personal wellbeing. A study from the George Institute on Global Health in Australia found that people who have less than 5 hours sleep a night may be at higher risk of mental illness. In a report on the study by MNT, Sam Challis reported “Sleep problems – even quite mild ones – can damage your wellbeing and quality of life”. Bedtime routines aren’t only for children. The Mayo Clinic recommends going to bed and getting up at the same time everyday – including weekends and holidays, as this boosts your body’s natural alarm clock, and promotes a better night’s sleep. A bedtime ritual such as a warm bath or reading a book helps to tell your body it’s time to wind down. This doesn’t mean you should download the latest read on your iPad, phone or tablet – electronics have been shown to simulate the brain, making it hard to relax. Curb the electronics and shut them off to help you switch off. In February 2014, MNT reported on a study by researchers from the University of California-Berkeley that found stress can make the brain more susceptible to mental illness. But there are ways in which we can reduce or manage stress to promote better mental wellbeing. Numerous studies have reported the stress-reducing benefits of yoga and mindfulness-based meditation. Also, staying positive during difficult times may also reduce stress. Simply smiling during a stressful situation could lower the body’s stress response, regardless of a person’s feelings. Stress is counterproductive to well-being; 40% of stressed people overeat and 44% lose sleep every night. Remember, personal well-being isn’t another resolution to be made on New Year’s Day – it is part of a happy, healthy lifestyle. Keep tabs on your progression with a weekly record of how far you’ve come; this can help you stay motivated. When you reach your goals, celebrate! On the other hand, if you slip up, take the time to reflect, treating it as a minor slip-up and get back on track.